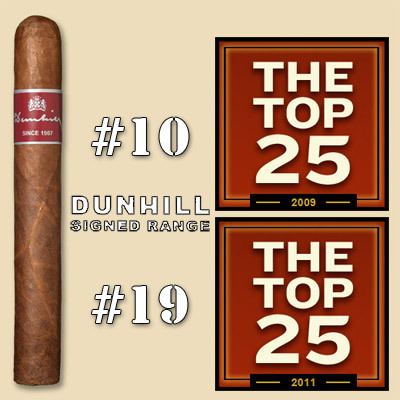 Dunhill Signed Range - This is a fairly new, Nicaraguan hand made cigar that features of a subtle blend of Piloto Cubano and Cubito leaf. It has a medium to full bodied smoke complimented by a balanced, yet complex taste. Dunhill Aged Dominican - This is an older brand, but still a beauty. It features Piloto Cubano like the Signed Ranged, but opts for Olor tobaccos instead of the Cubito leaf. This cigar is extremely well blended and are actually aged for at least one year before being released.